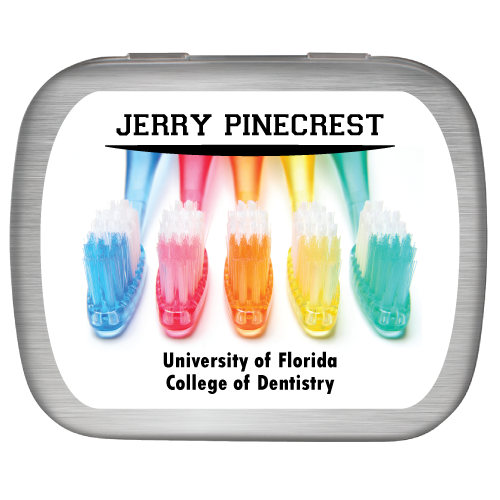 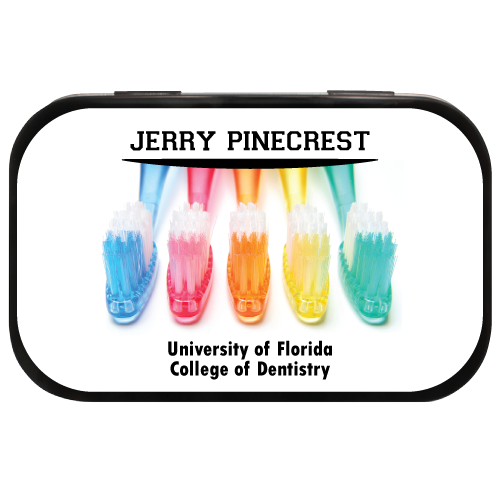 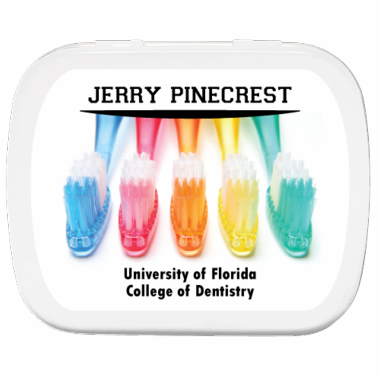 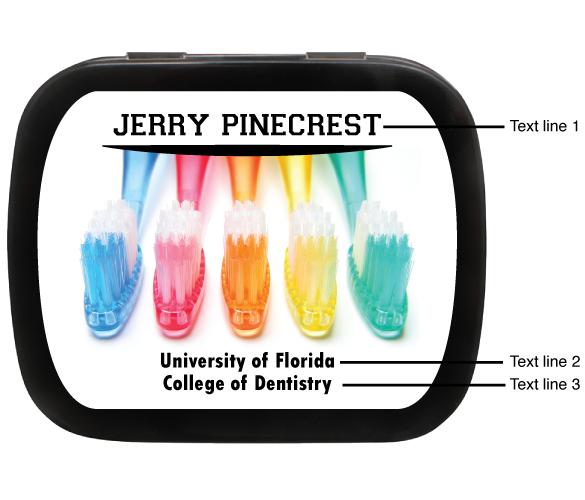 Personalized mint tins are perfect as dental school graduation party favors. 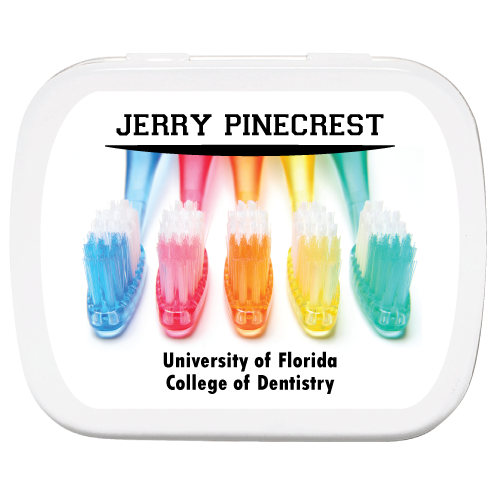 Each mint tin is decorated with a colorful toothbrush label and a custom message. 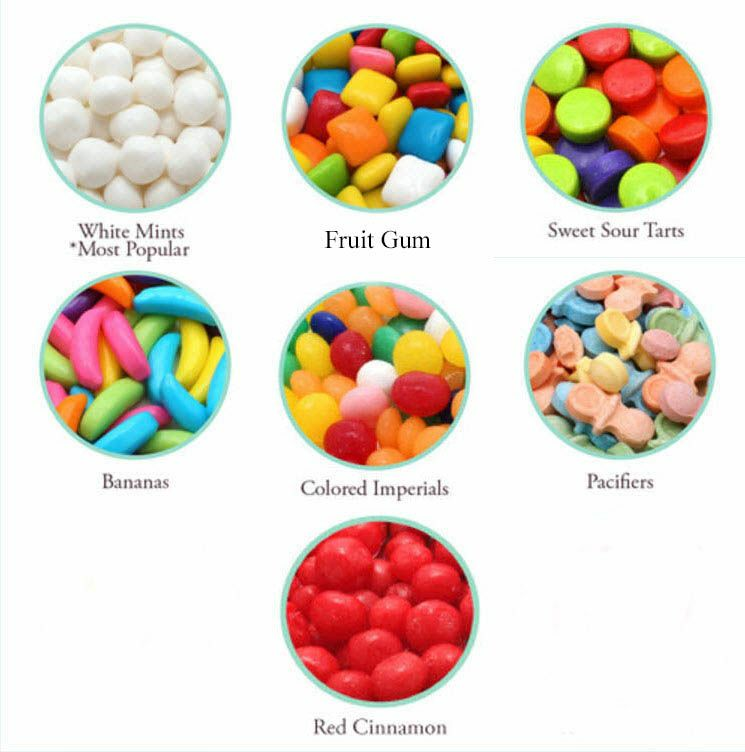 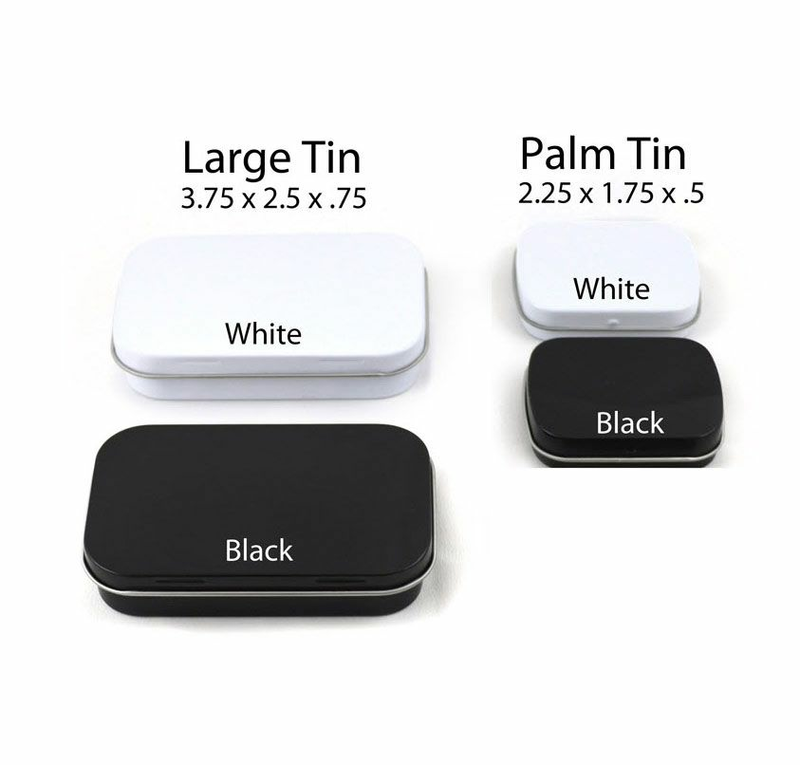 Tins are filled with candy or gum and come sealed.